The blue skies and bright sunshine over Whitnall Field mirrored the energy inside James C. Colgate Student Union on Saturday. 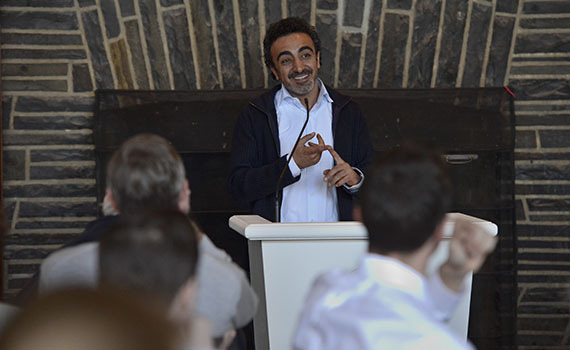 More than 200 students, alumni, parents, and friends gathered in the Hall of Presidents to hear Chobani founder and CEO Hamdi Ulukaya tell his own entrepreneurship story. The rich Chobani Greek-style yogurt that Americans are buying at a rate of 1.8 million cases per week came from humble beginnings. Ulukaya purchased a defunct 90-year-old yogurt plant in New Berlin, N.Y., from Kraft Foods in 2005 and began producing small batches of his product, testing it and storing it for weeks and months to see if the quality would hold from trucking container to tabletop. That’s the story of Ulukaya the master yogurt maker, the Turkish kid who grew up in a small farming village, east of the Euphrates River. But there’s another narrative of Ulukaya the entrepreneur, who moved to Central New York and saw economic potential in a castoff factory. “The first thing I did when I started this journey was that I realized that I didn’t know much. I would make meetings with bankers or engineers, and ninety percent of the things they were trying to tell me — I had no idea with they were talking about.” He could fake it and figure it out, or he could ask questions. After 18 months of asking questions and testing cultures, the first 300 cases of Chobani yogurt went to a kosher store on Long Island, and Ulukaya’s future hung in the balance for a week as he waited for a sales report. Returns were positive enough to require a second shipment of 300 cases. The order came with good news: customers were encouraging others to buy this new yogurt, too. “At that point, I knew this wasn’t going to be about selling; it was going to be about making. And the big guys were going to hear about this. They were going to kill me,” he said, referencing the long-established yogurt producers. But Ulukaya had done his homework. Before he went to market, he interviewed shoppers at the dairy case and found out that they were mixing fruit into plain nonfat Greek yogurt because the leading brand only offered fruit with full-fat. So he flipped the equation and made his fruit flavors nonfat. Some Colgate students, alumni, and parents will find lessons in the story of Ulukaya the Turkish dairyman, others in Ulukaya the entrepreneur. 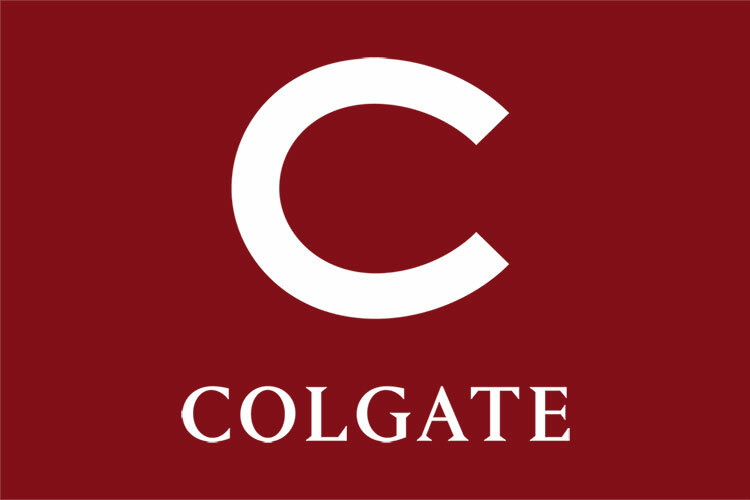 For Chobani’s CEO, who will receive an honorary doctorate from Colgate this May, the past five years have been a course in self-awareness.